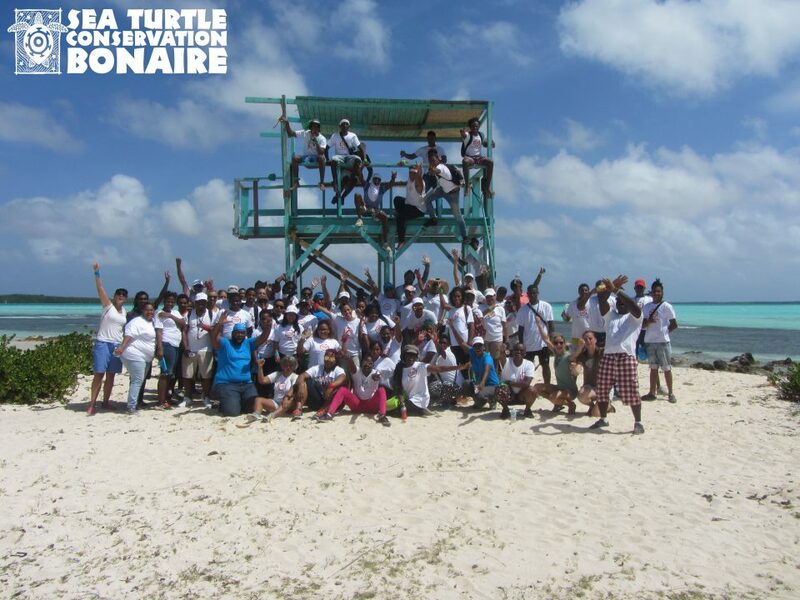 Kralendijk, March 16th, 2017 – More than 100 enthusiastic volunteers helped Sea Turtle Conservation Bonaire (STCB) with the Bon Doet activities that were organized on March 10 and 11. Together with STCB staff, the volunteers cleaned the mangroves and sand dunes at Sorobon, and removed deadwood on Klein Bonaire. STCB would like to thank these volunteers for their hard work and commitment! After attending the grand opening of Bon Doet at Sorobon on Friday morning, more than 60 high-spirited students from Fundashon Forma joined STCB for a large clean-up of the mangroves and sand dunes at Sorobon. Three different areas around Sorobon were cleaned, and the students filled almost three large Selibon containers with plastics, bottles and caps, straws, flip-flops and all other sorts of trash. To end the morning, and to quench their thirst and hunger, the students enjoyed some delicious oranges and dushi buns provided by Van Den Tweel Supermarket and the Real Dutch Bakery. On Saturday morning, STCB staff received support from two more groups of volunteers. With the help of a softball team and volunteers from Maduro & Curiel’s Bank, STCB staff removed deadwood on Klein Bonaire. The wood was blocking the beach access for sea turtles and taking up all the space on the sand needed for turtles to nest. Thanks to the volunteers, the beach is now ready for the upcoming nesting season which normally begins in May. STCB would like to thank Fundashon Forma, Maduro & Curiel’s Bank, softball team New Angels/Bonaire Angels, Van Den Tweel Supermarket and the Real Dutch Bakery for their generous support. Sea Turtle Conservation Bonaire (STCB) is a non-governmental research and conservation organization that has been protecting sea turtles since 1991. Such type of activities are great fun to participate as well as watch. There is nothing better than people getting together with a common goal and complete the same and enjoy afterwards. It sounds fun! And at the same time, it feels nice when people give their time for such a good cause. 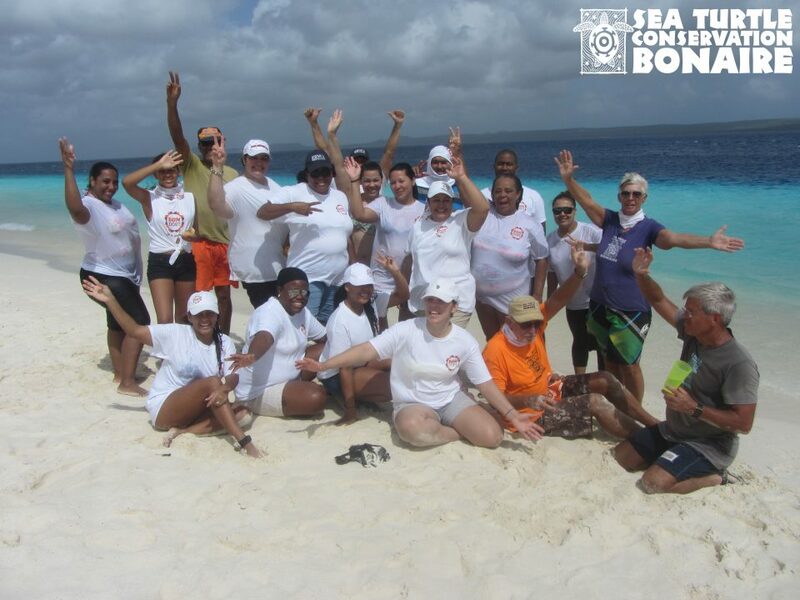 Well done Sea Turtle Conservation Bonaire (STCB) and volunteers.